I was having lunch with Fergie a couple of days ago when he mentioned that he had just gone to a dinner tasting of Alexandre Polmard's beef. This is the man running a family business that has been aging their "vintage" beef for decades - which was labelled "world's most expensive meat" a while ago. Apparently Derby Restaurant at the Hong Kong Jockey Club was doing a promotion, and Fergie thought the beef was pretty tasty and reasonably priced. I pinged The Man in White T-Shirt, even though I thought the promotional event was already over. Fortunately I was wrong, and we immediately made plans for a lunch tasting today. 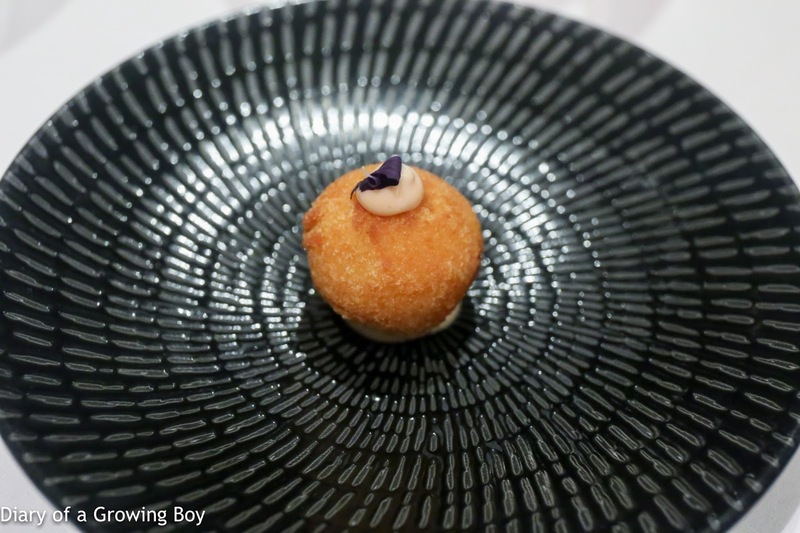 We started with an amuse bouche of deep-fried crab ball, with mashed potatoes inside. 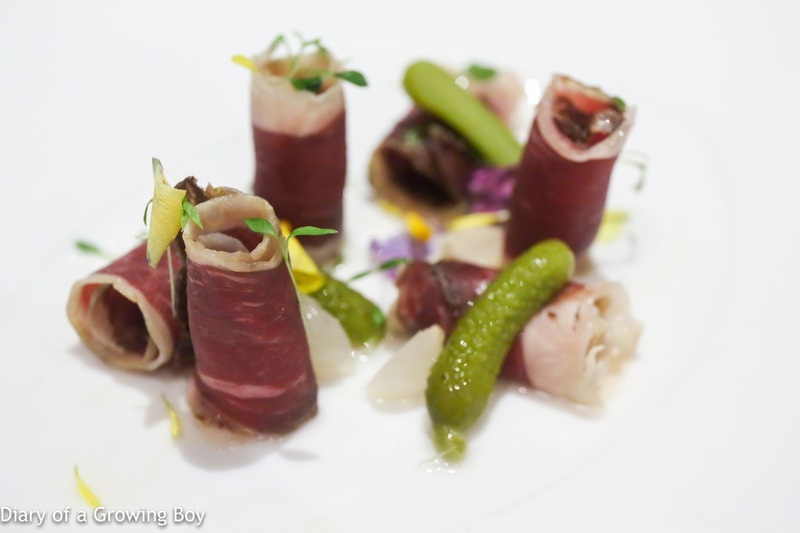 Air-dried Polmard beef, cornichons and pickled pearl onions - this apparently went through a transformation that saw it go from 3.5kg down to 1kg. Nice and firm texture, and definitely pretty tasty. I was surprised that we didn't ask for a second order. Polmard beef traditional tartar - there was plenty of hazelnut chunks mixed in with the beef, and they drizzled both olive oil and hazelnut oil on top. Dunno why, but I wasn't a big fan of this... and that's not even taking into account the beetroot on top. 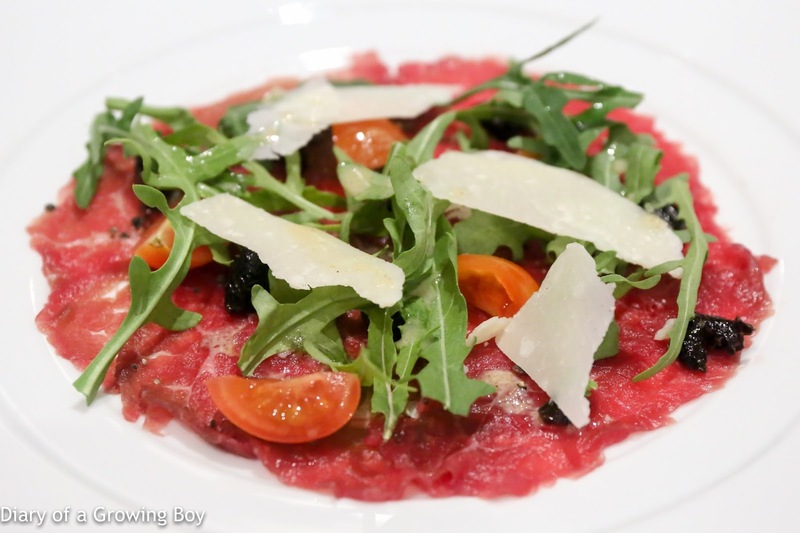 Polmard beef carpaccio, rocket and shaved Parmesan - the carpaccio, in comparison, was excellent. Beautiful texture with bite. 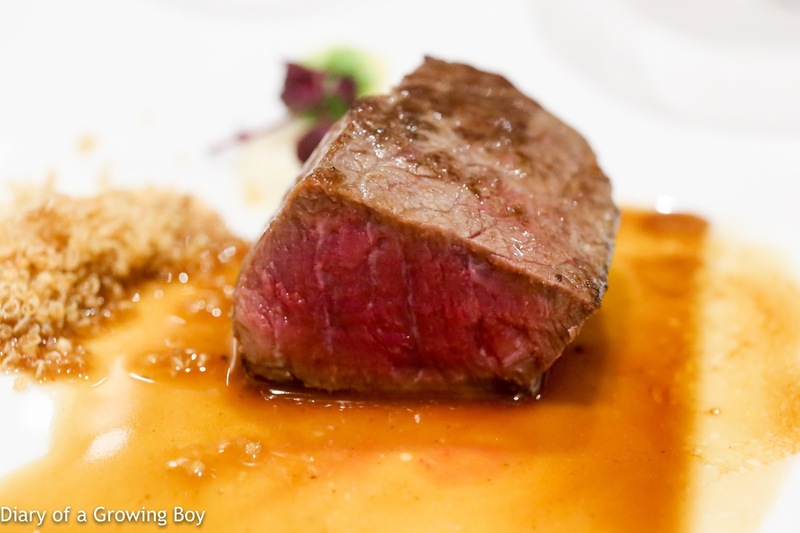 Served with shavings of 48-month Parmigiano-Reggiano, which came from the same supplier who supplies Massimo Bottura. So good we ordered a second plate. 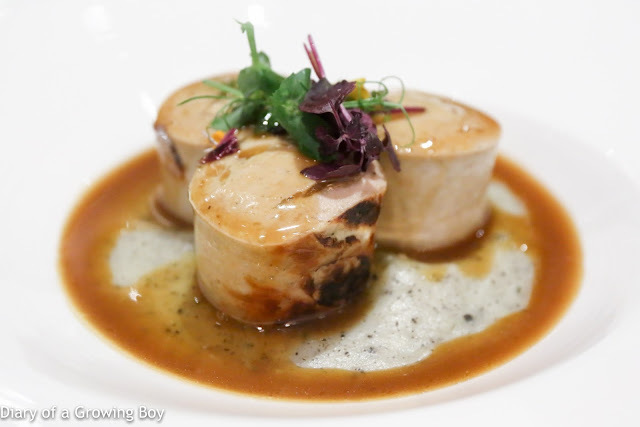 Grilled Polmard beef boudin blanc sausages, truffle mashed, onion sauce - we love boudin blanc, and these looked a little darker than the usual variety, but sooooo delicious. Of course, the truffle mash didn't hurt. We also ordered a second plate of this. 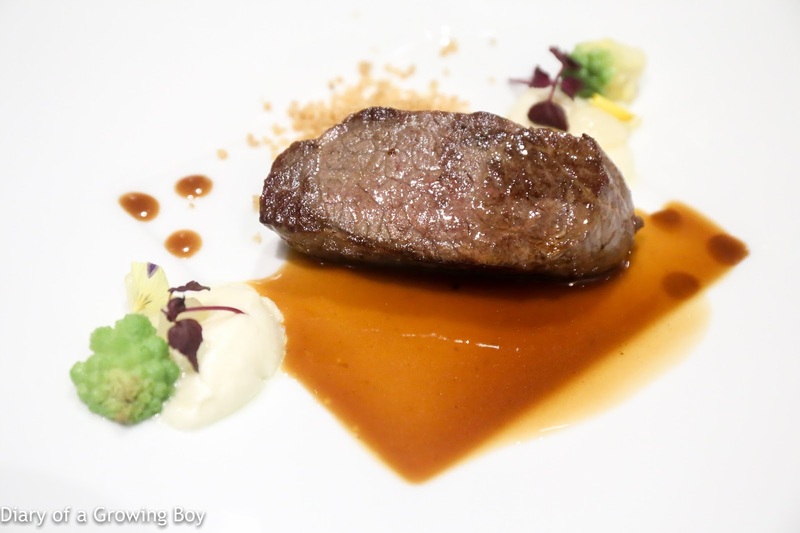 French pave Polmard beef, quinoa popcorn, Wagasagi onion, romanesco, horseradish, light pepper sauce - this was rump steak, and while we were supposed to get them rare, mine was a little more cooked than I expected. 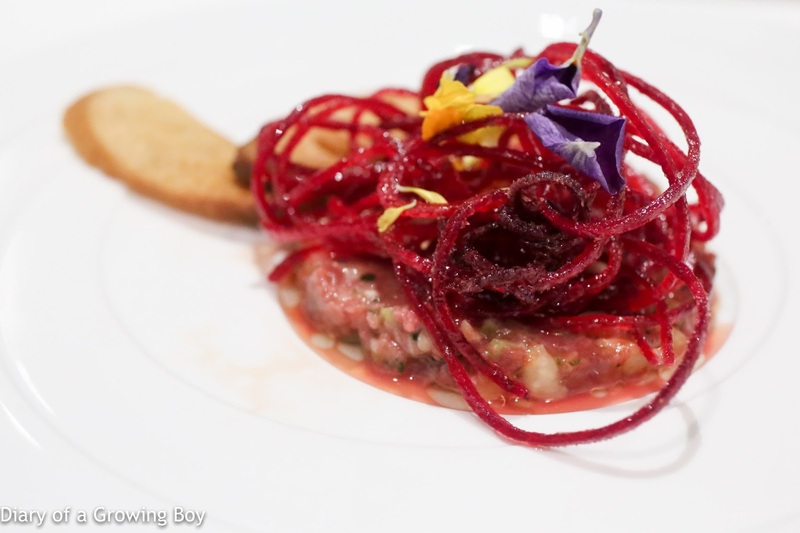 The flavor of the beef was pretty nice, but it was the "quinoa popcorn" that stole the show. These tasted like they had been deep-fried - just really, really crunchy and toasty. The horseradish foam on the side was nice, too. I brought along two bottles of red to go with the beef, while The Man in White T-Shirt ordered a bottle of bubbly from the list to start. 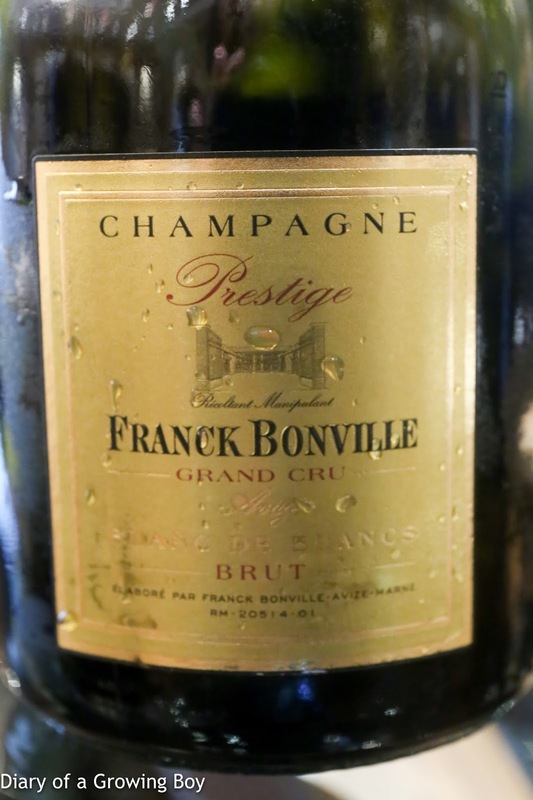 Franck Bonville Brut Prestige - both acidity and ripeness on the palate. Not too acidic for a blanc de blancs. 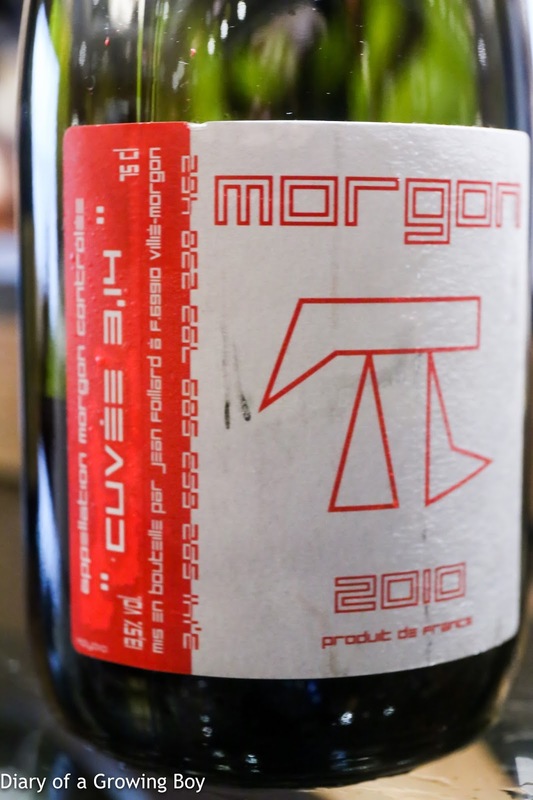 2010 Jean Foillard Morgon Cuvée 3.14 - unfiltered and cloudy. 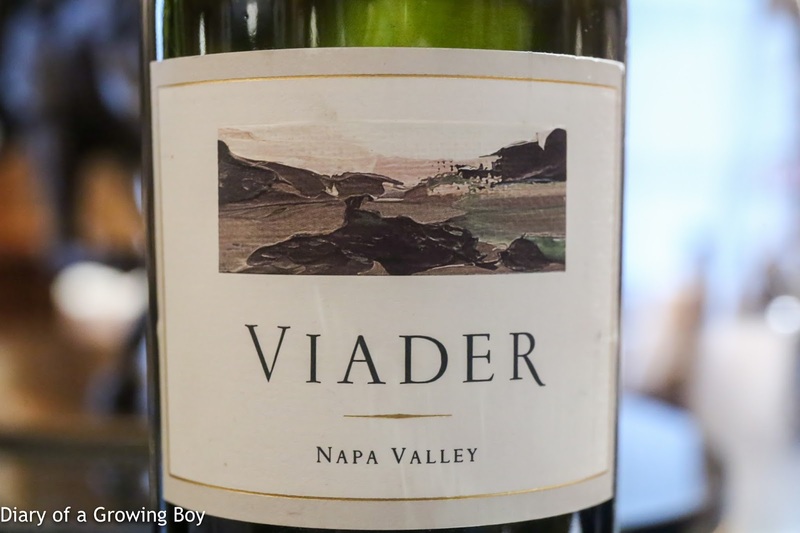 Nice acidity on the palate, with toasty corn, sweet fruit, animal, and leather notes. A wine that is drinking beautifully now. 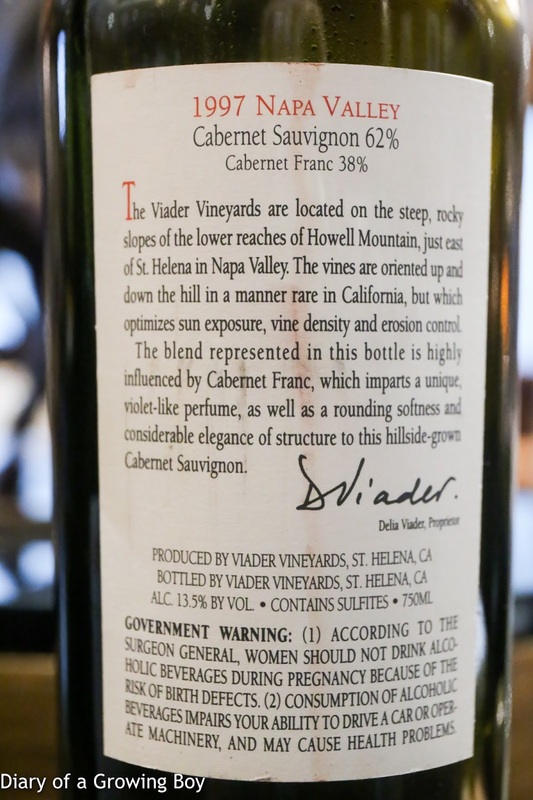 1997 Viader - decanted 1 hour prior to serving. First whiff showed black olives and stewed prunes. Later with vanilla, forest, and meaty notes. Mature now and somewhat disappointing.